I published this map last month with information current through April 30. The map below is current through May 28, 2009. It's hard to notice, but there are some new wells. 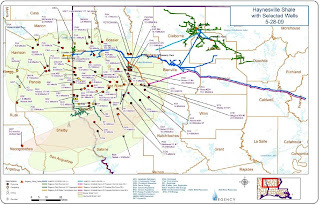 Regency's Haynesville Expansion is on track to be in service by the end of 2009.